Here is something cool for every sound-designer out there looking for some really neat plugins for sound mangling and total creative workflow. We looked through a lot of plugins and we narrowed it down to the top 10 of what we think every sound designer should have, or at least try. And by “sound designers” we mean anyone out there who is doing musical sound design for their tracks as well as people working on films, games and TV. The plugins presented here are in no particular order, so here we go! The very first Dehumanizer was a smashing hit among sound designers for visual media. What this software does is that it deforms the human voice to sound like monsters, robots and various creatures of the darkness. 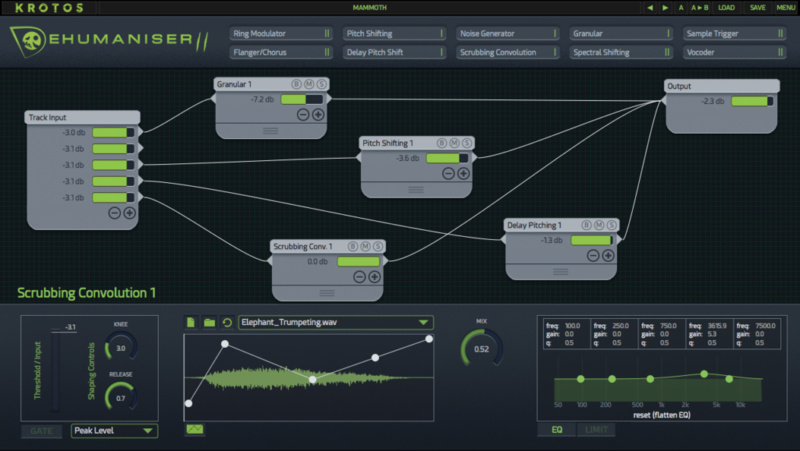 Basically it is an all-in-one tool for creating creature sounds. And not just snarling noises, growls and screams but actual speech as well. It is absolutely a must-have tool if you’re working on a sci-fi or fantasy genre. It utilizes incoming live or pre-recorded signals so it allows you to rapidly create seamlessly layered effects by using presets or you can customize your sounds by linking virtual patch cords to interactive effects modules. It features proprietary effects like Scrubbing Convolution and Spectral Shifting that deliver dramatic results and open totally new opportunities for creative creature sound design. It’s 279 GBP but there is a light version for 69 GBP. iZotope are one of the top-notch plugin developers out there and there’s not a pro studio out there without at least one iZotope product. 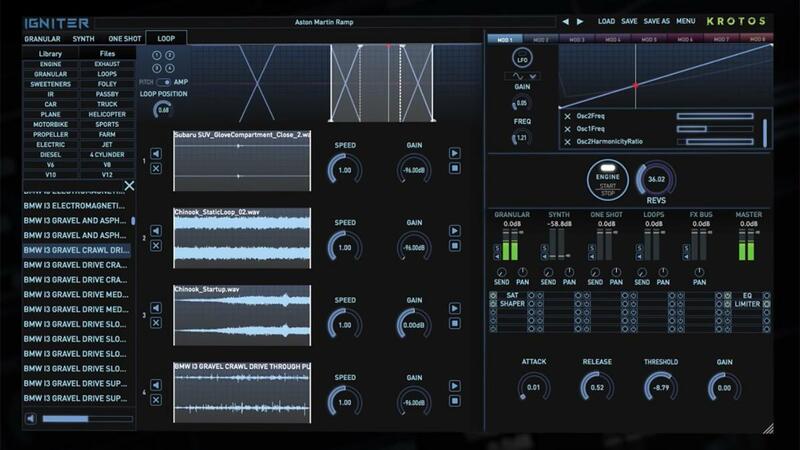 Trash 2 is your all-in-one destruction tool for creating distorted sounds. It is very easy to use and it’s a flexible tool featuring just about any type of distortion out there known to man. If you are looking to spice up your sound design or music tracks with some dirt, you won’t find a better tool than Trash 2. This is an excellent example of a modern digital distortion plugin as it can produce everything from a soft tube saturation up to over-the-top bit crushing. 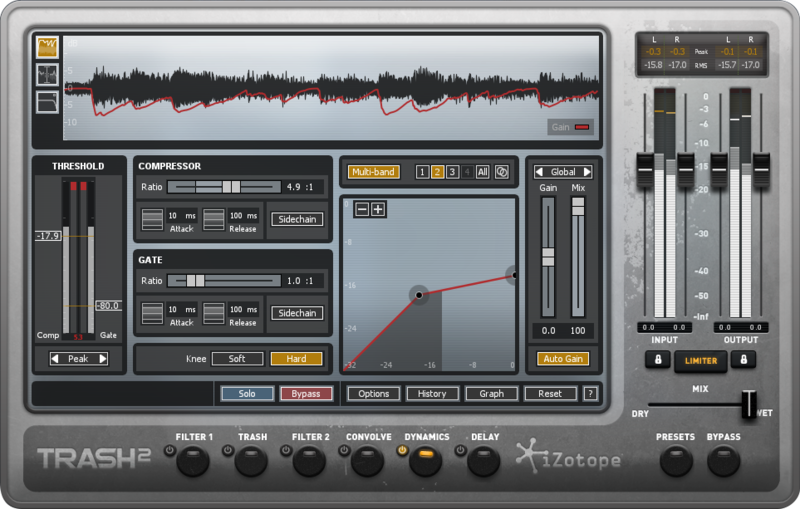 You really won’t find a tool more featured with distortion than iZotope’s Trash 2. If it’s good enough for Trent Reznor and Richard Devine, it’s good enough for the rest of us. For 99 USD you are getting plenty of dirt. *These two plugins are only usable in Max for Ableton Live. Moor is a mono step sequencer with rather innovative features so you can create, edit, randomize and even process your sequences like never before. It is very unique since it will let you create sequences that you can never get with other tools of its kind. 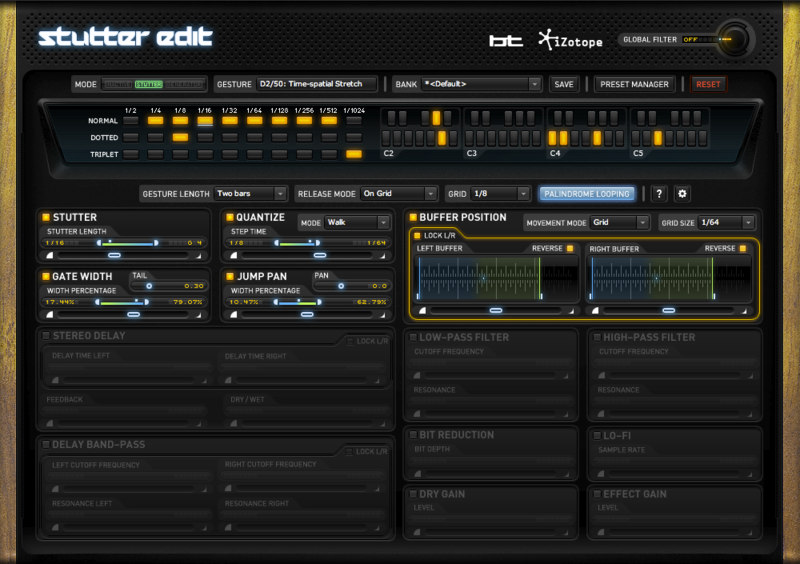 It creates then twists and manipulates your sequences and synth lines giving results that go beyond your imagination. Twistor is modulation magic tool as they say at K-Devices. Thanks to powerful pattern creation and twisting features, Twistor creates modulations that are not possible to obtain with other modulators. You can think of it as a classic step sequencer modulator: steps of a given duration sending values to a controlled parameter according to a time resolution. The main difference with a classic step sequencer is that in Twistor each step can have a different duration: by modifying the single step duration and by manipulating the entire pattern. Both of these are rather ubiquitous pieces of software and the guys at K-Devices recommend using them with Ableton Push 2 controller. Moor will cost you 29 EUR while Twistor is only 19 EUR. This one is for all the gearheads out there. If you’re working on a project that requires any type of vehicle, the Igniter is the way to go. It will create any type of real-world or sci-fi vehicle you can imagine. Bikes, cars, flying speeders, spaceships etc…. you name it. Igniter is the only software of this kind that comes packed with over 20 performable vehicles and over 600 audio assets from various car, plane and helicopter manufacturers. Even though it only came out recently, it has already become the industry standard, like Dehumanizer for creature sounds. Igniter comes in two versions: Igniter and Igniter Full Tank. The only difference other than price tag between the two is the number of audio assets that you get. Igniter comes at a price of 449 GBP, while Igniter Full Tank comes in at 734 GBP. If you need a virtual vehicle factory, you won’t find a better solution than Igniter. If you’re lacking inspiration and you’re looking for something to spice up your musical sound design, take a look at Effectrix by Sugar Bytes. It is a perfect companion for your tracks. What it does is that it works as a self-contained sequencer and multi-FX processor. It features a really cool looking GUI which is step-based so you can control at what time you want to trigger the desired effect. It’s quite a straightforward tool and very powerful at what it does. You can produce some really great sounds with this. The effects featured are x-loop, loop, scratch loop, reverse, stretch, vinyl, tonal delay, stutter, crush, filter, phaser, chorus, delay and reverb. It is similar to Glitch but then again it does things differently. It’ll take 119 USD out of your pocket. If you wanted to play your effects as an instrument, now you can do it with iZotope’s Stutter Effect plugin. This thing is absolutely fun to play with. It is a MIDI controlled plugin that enables you to create a beat repeating effects, glitches and stutter and it is a perfect tool for making awesome transitions between your track parts. Stutter is automatically synced to DAW tempo so you don’t have to worry about being out of time. Featuring over 800 individual stutter effects, or “gestures”, Stutter will create unique effects and rhythmic transitions for you with just a press of a key on your MIDI keyboard. If you’re into industrial or EDM genres, give it a go. Stutter Edit will cost you 199 USD. Here is something that only Mac users will benefit from as this is an AU plugin collection only and it’s a freeware. Michael Norris has created something truly unique with his Soundmagic collection of 23 plugins. 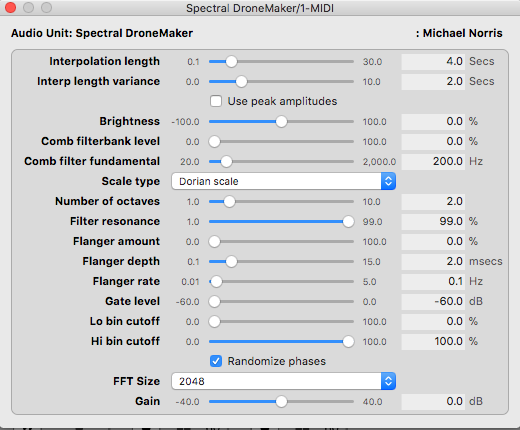 Each plugin uses real-time spectral processing in order to create some amazing soundscapes, drones and other granulating goodies. What’s even better is that Michael is still updating this collection even today and now it is also 64bit and compatible with MacOS 10.6 or later. The interface is basically bare-bones, nothing too fancy, but the results you are getting are astonishing. Simplicity at its best and it is very easy to use. Don’t underestimate these plugins because you will truly get some jaw-dropping results. Sometimes the best things in life really are free. 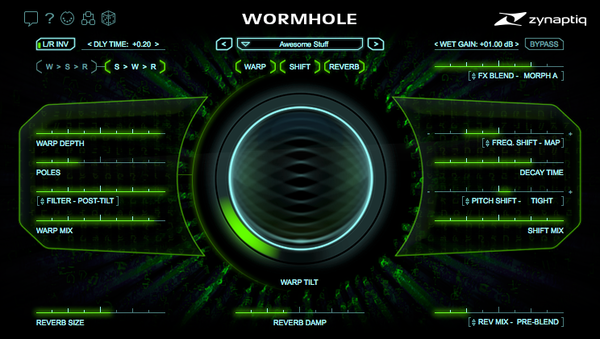 The guys from Zynaptiq are well-known for some really obscure sound design plugins and Wormhole is one of those. This is basically a multi-effect plugin which creates some glassy ambient octave shift tails, surreal ambiences, drones, alien and monster voices, etc… You could only make these types of things by using complex plugin effect chains, but not anymore. It uses a combination spectral warping and rich reverb algorithms with pitch shifting in order to enhance the sustained sound sources. You can use a simple waveform oscillator from your synth and process it with Wormhole in order to get a complex soundscape or a drone with a bit of rhythmic content. The GUI itself looks stunning. This one is truly a masterpiece. 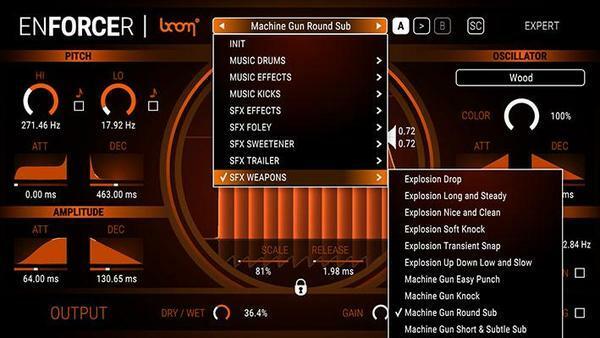 BOOM Library is mostly known for its audio asset libraries of various Foleys and sound effects and Enforcer is their first step into VST plugin domain. What is enforcer? It’s a sub sweetener tool which adds that nice oomph and sonic layer to your effects or instruments. We tried it on percussion and trailer impacts and it really is something! This is your Swiss army knife for punchy low-end subsonic power kick. You can really beef up your SFX or instrument parts or you can just sprinkle a wee bit of weight to them. It can also work as an awesome kick drum synth. If you’re into trailer music or trailer sound design, you need this. It easy to work with and if you’re not into customizing your sounds you can simply use a preset from its long list. It’ll cost you 119 USD and it’s worth every penny. Moog is the company that usually sets standards in synth design and their analogue synths are coveted by many, so you can imagine the joy spread among sound designers and musicians alike when UAD announced their collaboration with Moog to present us the Multimode Filter. Synthesis is one of the many building blocks of good sound design and multi-mode filters are a solid part of this. Having a good filter in your plugin collection is a must-have for any sound designer out there. Choosing a filter is based on personal preferences but we all know that Moog makes one of the best analogue filters out there. There’s not a synth geek out there who doesn’t worship a Minimoog ladder filter. So if you’re looking to add some analogue flavour to your sound design, you won’t find a richer, warmer or thicker-sounding plugin out there!